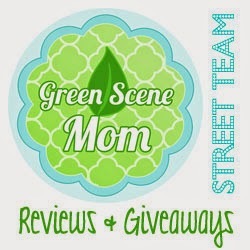 This review is from Ozeri and it is on their Ozeri FRESHSPIN Salad Spinner and Serving Bowl. Designed in Switzerland to deliver frictionless spin action with an instant stop button. Ergonomic pump handle requires no more than 2 or 3 pumps to reach its smooth and ultra quiet maximum spinning velocity. Unique two-in-one design features a removable colander and bowl that that doubles as a food-safe elegant serving dish. Large 4.24 qt / 4 L colander and 5.5 qt / 5.2 L serving bowl accommodate all your greens and herbs. Features a non-slip base and handle that locks into place for quick storage. The Ozeri FRESHSPIN Salad Spinner's features a large 4.2 qt / 4 L colander that accommodates all your greens and herbs. The 5.5 qt / 5.2 L bowl doubles as an elegant serving dish. Perhaps the easiest salad spinner ever made, the OzeriOzeri FRESHSPIN Salad Spinner's handle locks into place for quick storage. This salad spinner is great as soon as i tried this one i threw my old one right out. We have alot of salads in our garden and this is really handy to make a quick snack. I have also been making kale ships which is shown and it really gets them dry for our dehydrator. I would recommend this spinner and it looks nice too!.